Getting closer to getting this project finished, but it’s like we’re chasing bad guys down an alley and they keep knocking over garbage cans to slow us down. Seriously, just stop and let us catch up. So: a mix of progress and your imagination. Both Pantry doors are in. 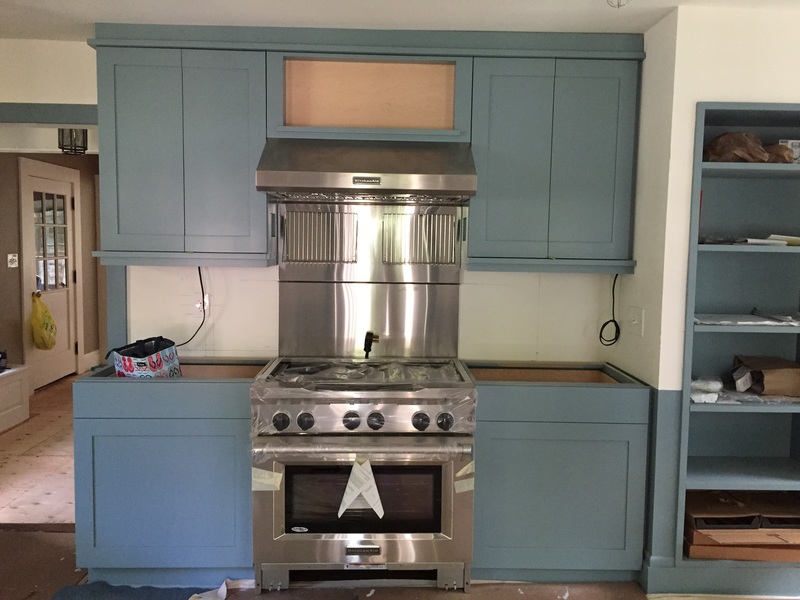 Imagine countertop and sink (and connected plumbing for the sink, dishwasher, and refrigerator), the wood panel on the dishwasher, and the sliding drawers inside the pantry. Imagine two more shelves in front of the side windows, and the missing trim along the ceiling. 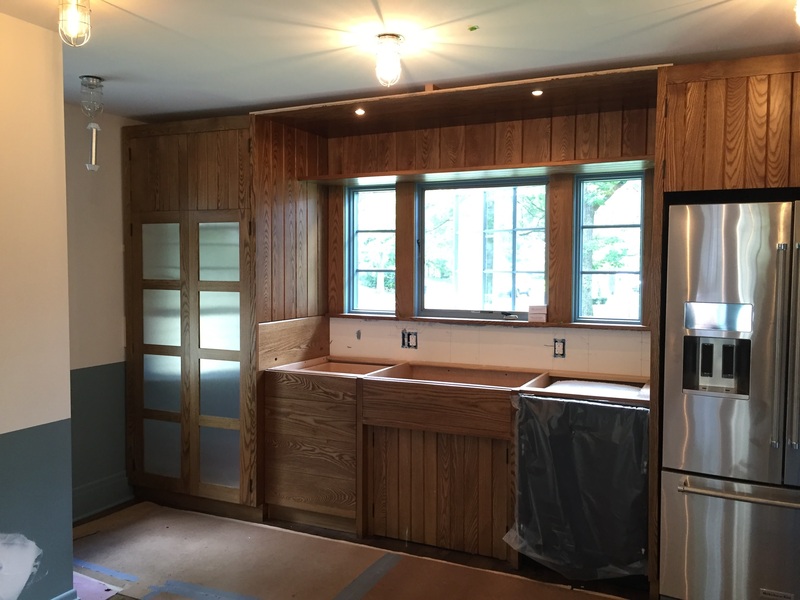 All the cabinets on this wall are in place. Imagine countertops (ha ha, the stone that we selected from samples last December has been discontinued!). the tile backsplash that con’t go in until the counters are in place, and the stove connected and working. 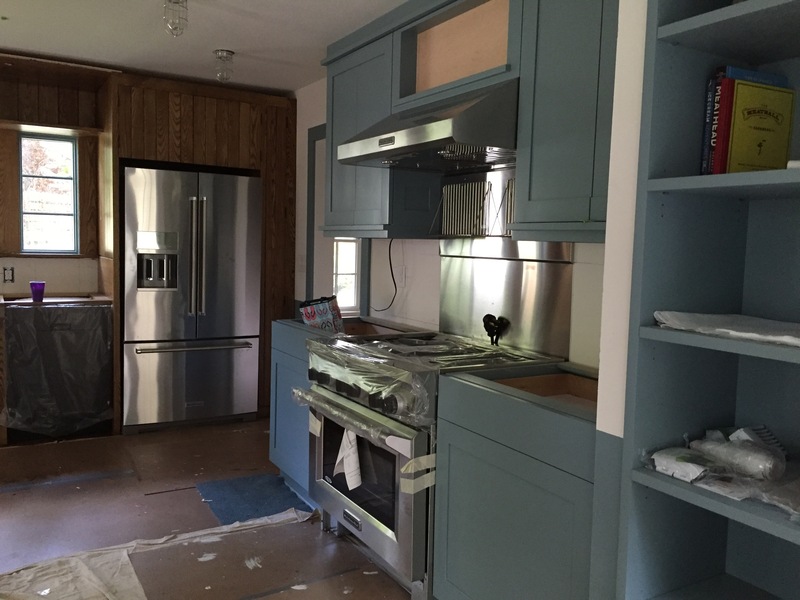 Imagine that the shelves are present in the upper cabinets on the left. Imagine the the island in the middle of the room, without which the countertop fabricators won’t start making the countertops anyway. 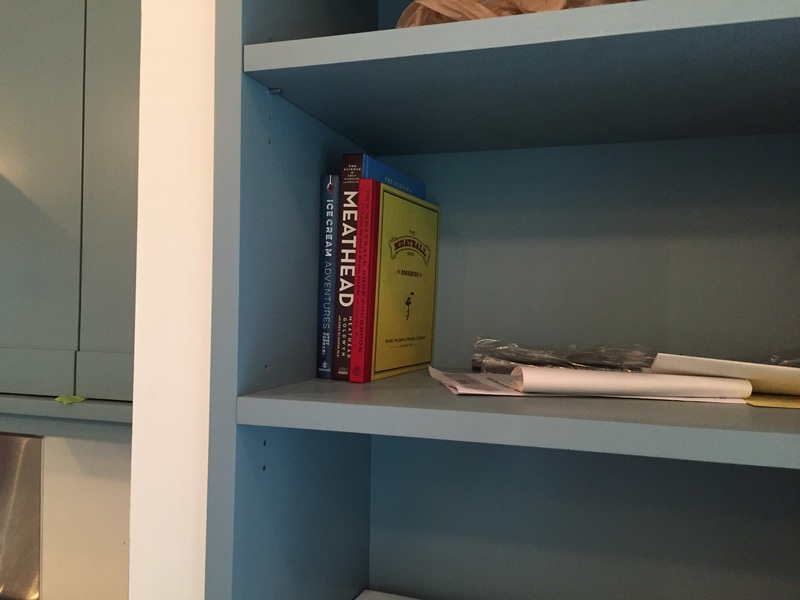 I got three new cookbooks for my birthday last week, and they’re the first occupants of the bookshelves we put in. Imagine the rest of my cookbooks (and one programming book because it is a funny joke) living here instead of in the plastic bins where they’ve been living for the last 14 months. 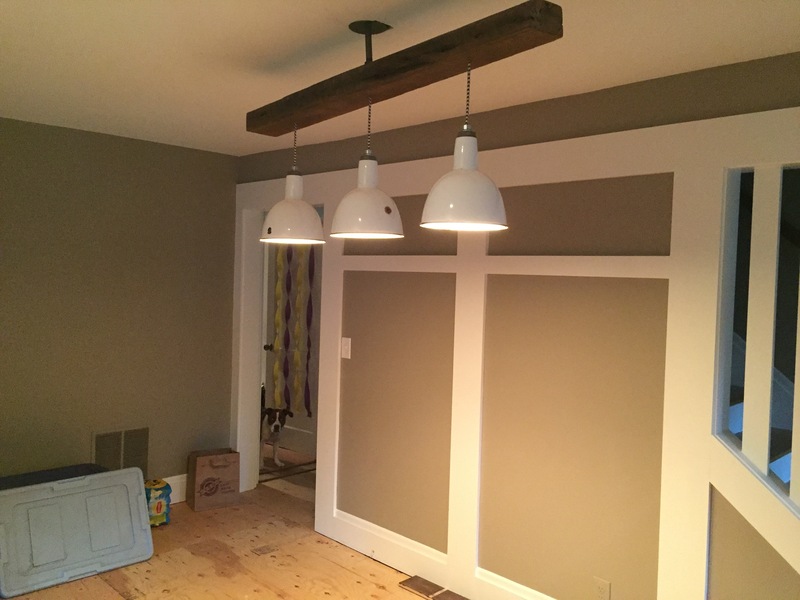 The light that we bought was installed (custom made, the shades were salvaged from a factory that was being demolished). Imagine the new floor (wood to be delivered soon, installed the week of 7/18) and a dining room table (someday). The next prime number is 29. Seriously — we better be finished by then. I mean it.